Window Concepts offers a variety of window fashions with motorized options that eliminate lift cords and provide ultimate convenience. Your home's beauty and safety is enhanced without the presence of cords. It is very easy to control your motorized drapery or blinds by remote, wireless wall switch or a tap on your smart device! Are you ready to modernize your window treatments? Here at Window Concepts, we offer a wide variety of attractive window coverings with motorized lift and tilt mechanisms to bring your home into the automatic age. 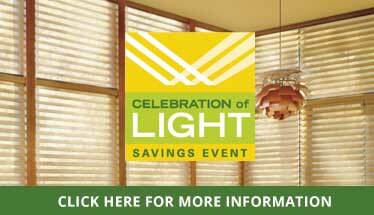 If you are looking to install new blinds or shades, there is no better option than choosing motorization. Motorized blinds and shades provide a wealth of benefits: not only are they effortlessly beautiful, but they provide numerous home safety features and savings opportunities that practically pay for themselves. Read on to learn more about our motorized blinds and shades. After installing a set of motorized blinds, the first thing you are likely to notice is the lack of pull cords and wands. This simple and seamless element of design tidies up your window dressings dramatically, creating a contemporary and hassle-free look. Our range of motorized blind and shading products are crafted with modernity in mind, keeping your home up-to-date. Plus, with motorized control, you can select the precise position of your window blinds and drapes whatever time of day, all with the push of a button on the wall, via remote, or on your smart device. At Window Concepts, we provide straightforward style, any time you want. Not only does the removal of cords and wands make for a cleaner look, it also removes a potential element of danger for pets and small children. Putting motorized blinds and drapes on windows that are hard to reach eliminate falling hazards, while automatic opening and closing of your window coverings throughout the day makes it look like someone is home, even if you’re not. Additionally, the automatic features of motorized blinds can help you save money, by providing timely UV protection and insulation while your blinds follow the sun throughout the day. Not only that, but following the sun to let in natural light reduces interior lighting costs, and can also save on your HVAC bill, too. And when you’re ready to sell, motorized window treatments have the potential to increase the value of your home. For current styles on motorized blinds and drapes that will benefit your home, visit Window Concepts in Paoli, PA today, and speak with our window treatment experts.